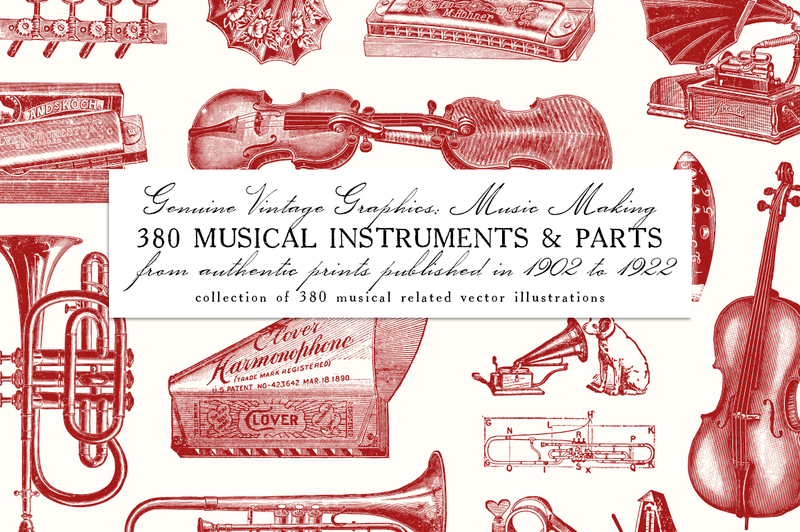 This is an extensive set of 380 vintage musical related vector illustrations, sourced from authentic prints published in 1902-1922, in the United States. These graphics were sourced first-hand from genuine prints published in United States. As always, we personally collected, owned and processed all sources with optimized setting and professional-grade photo scanner only. • 380 illustrations in .AI, .EPS and high resolution .PNG (with transparent background). 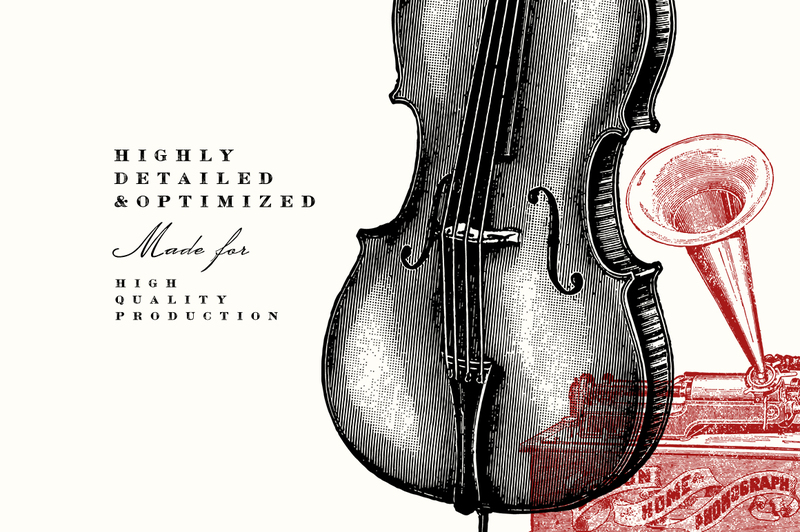 • Sourced first-hand from authentic hard copies of various vintage catalogs published in 1902-1922. You simply can’t find these beauties at one sitting in the market. • Scanned and vectorized the best way possible to preserve its features. The vectors are highly detailed and very suitable for making art print. 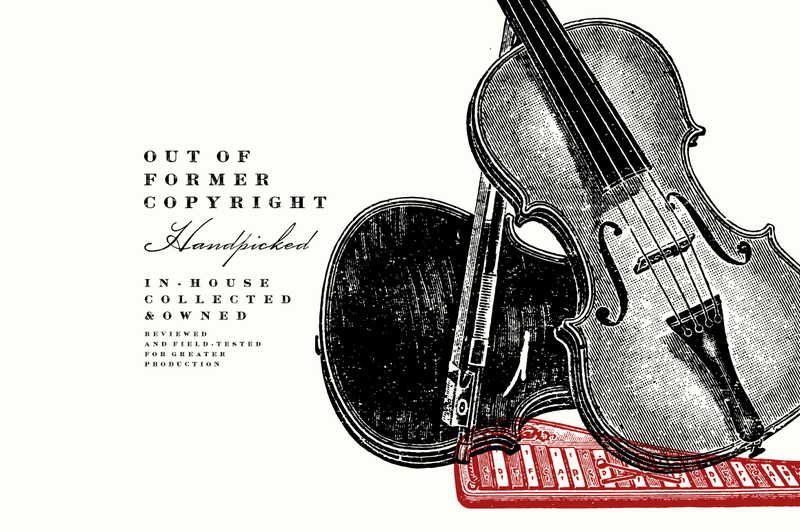 • 380 illustrations include Violin, harmonica, accordion, violoncello, guitar, ukulele, banjos, photographs, music box, piano, mandolin, musical instrument parts etc. Preview 4-11 show all included illustrations. • The format includes .AI, .EPS and .PNG with a transparent background. .AI and .EPS vector are compatible with Adobe Illustrator CS4 and above. • All graphics made are verified to be out of former copyright, in-house personally collected and owned, handpicked and reviewed in detail to make sure they are in best shapes for the contemporary project.